Treat your furry family member to a spa day! We offer a variety of services and treatments to make your pup more comfortable, stylish, and healthy. 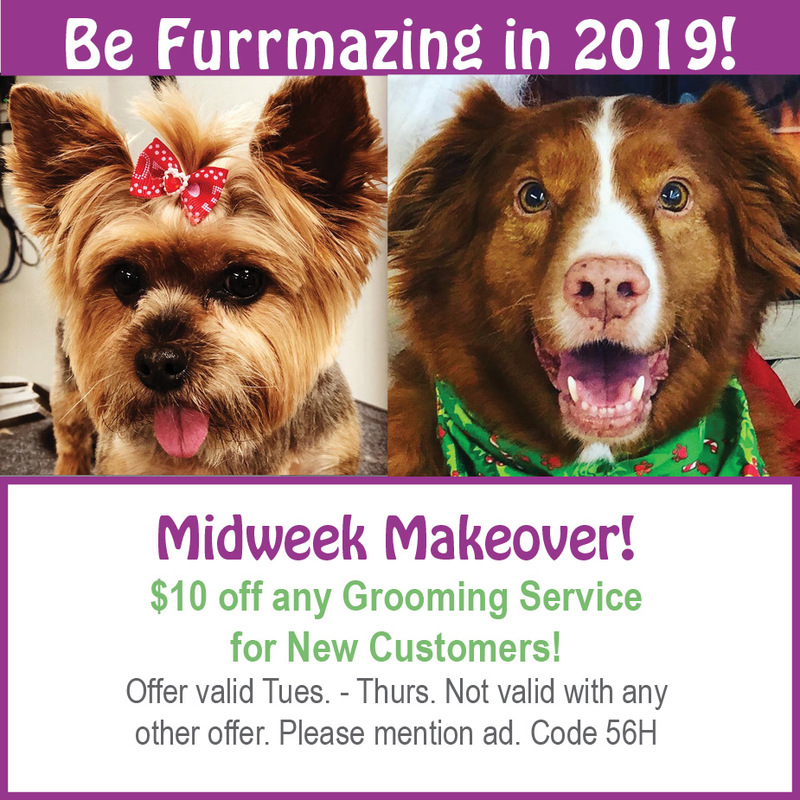 Our stylists provide expert advice on the best haircut for your dog and help you keep your pet’s mane looking sharp between cuts with take-home maintenance tips. Give your pet the gift of clean, beautiful fur, whiter teeth, and fresher breath. Book your dog’s spa day at Holiday Barn today! Separate multiple pets names with a comma. Error: Error validating access token: Session has expired on Monday, 29-Oct-18 09:08:51 PDT. The current time is Thursday, 18-Apr-19 19:32:16 PDT.